Self extinguishing, temperature range: -5°C to +90°C. 10m kit with 10 fittings and locknuts. 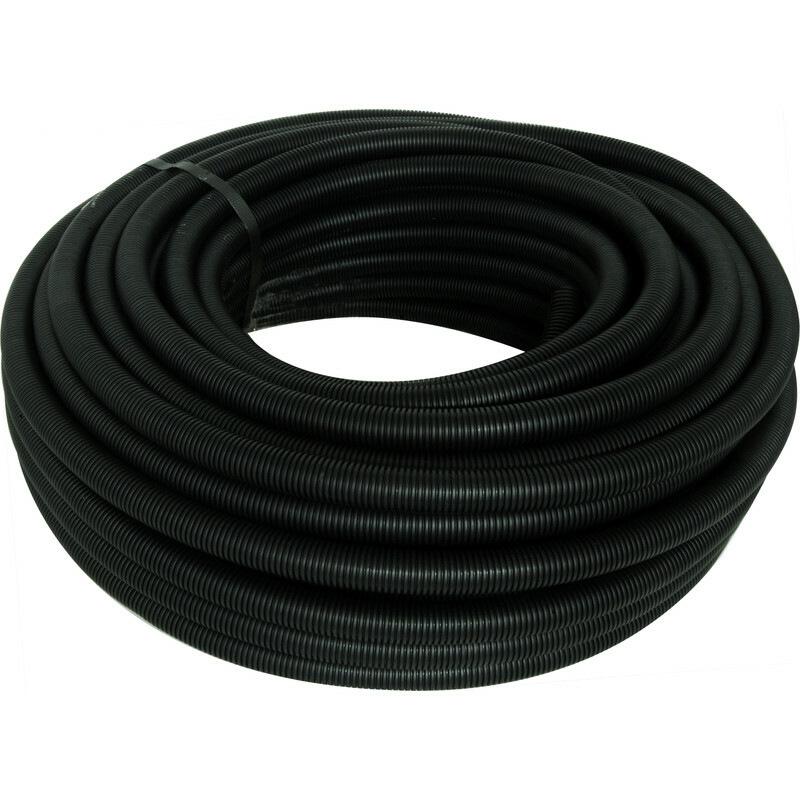 Polypropylene Flexible Conduit Kit 10m 25mm Black is rated 4.1 out of 5 by 9. Rated 5 out of 5 by Phillc from Caravan cables Great conduit just the job, just needed light conduit for cabling on my motor mover. Rated 4 out of 5 by Ianius from Plenty of conduit for the cash I bought this to both protect and tidy up some trailing cables, it did a good enough job for my taste. Rated 5 out of 5 by Rolly from Wire protector It did the job. Very eased with it. Rated 5 out of 5 by Norwich DIY from Good Product at a Great Price I've use this Conduit inside and out and it is easy to work with. There is a good colour match with the solid conduit I've used. Does the job at the right price. We'll have to wait and see on the reliability but so far so go. Rated 1 out of 5 by Spark1981 from Adaptors are horrible The adapters supplied with this are really bad quality, the worse I have ever seen. Only option was to put then in the bin.